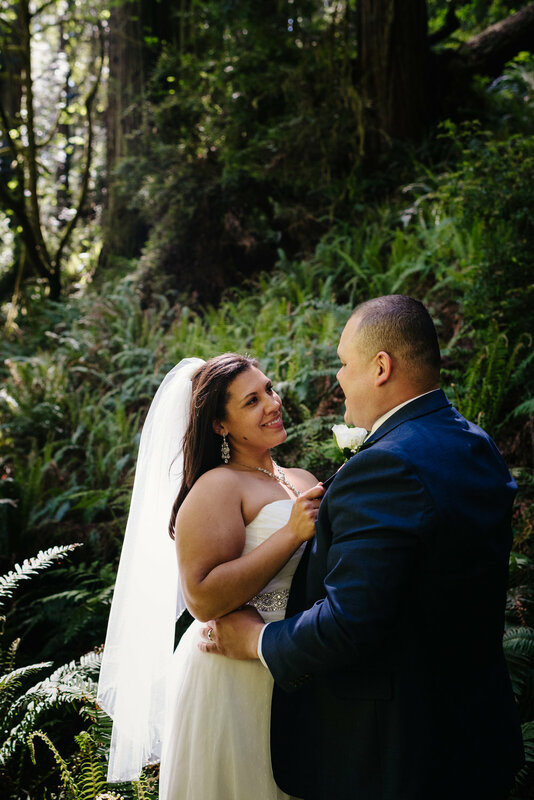 If laid back romance in the tall trees is your jam, a Prairie Creek Redwoods elopement is hard to beat. From cathedral trees to fern laden trails and yes, that canyon from Jurassic Park - this park definitely feels like stepping onto another planet. A much lusher, cooler green planet surrounded by quiet giants with no concern for your absent parallel parking skills. 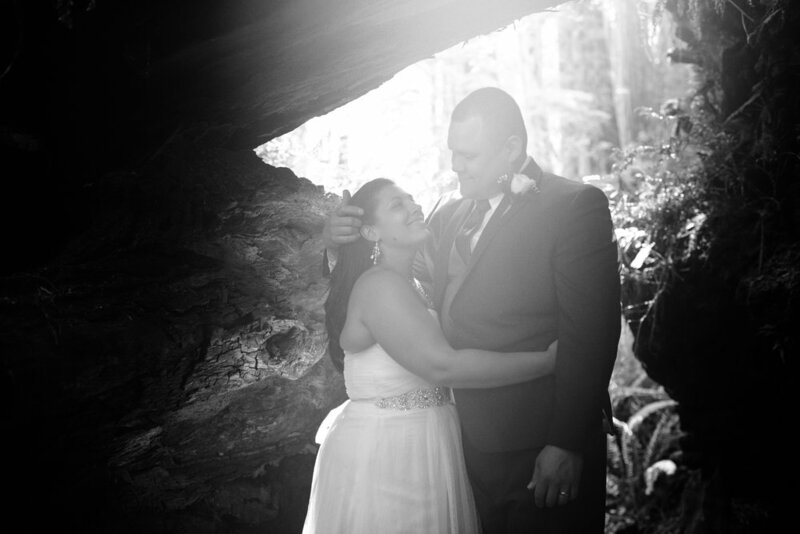 When Kaila told me that there was a very good chance she'd end up with Doritos dust on her dress at the end of the day, I knew we'd be friends. 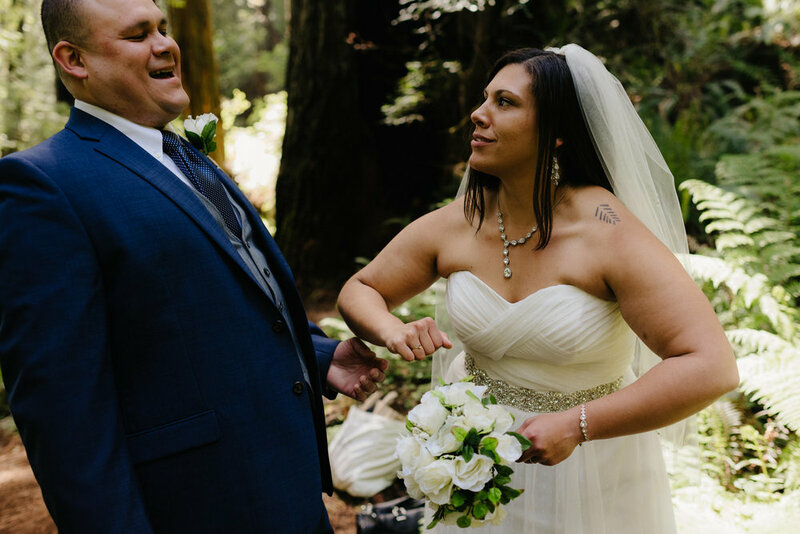 My absolute favorite people are the ones that can rock any manner of fancy frock in the redwoods and seriously not care how dirty the hems get or how much of the forest is tagging along in the lace when the dust settles. Obviously, since I'm also the woman who regularly swings by the grocery store soaked to the knee and trailing sand as I peruse the vegetable (sometimes chicken finger) aisle, I get along well with anyone who feels inclined towards adventure - particularly of the redwood or Lost Coast wandering variety. 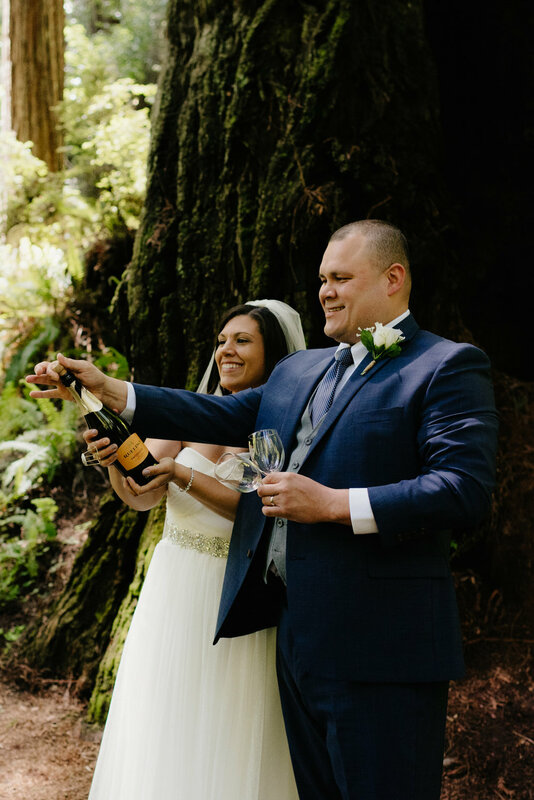 SO, WANNA ELOPE IN THE REDWOODS? Take me with you!